In a typical coolroom up to 67% of the total cost can be automated. Stackflo Sonata eliminates manual crate picking and bulk handling at an affordable cost. Achieve the greatest reduction of safety hazard. Mixed crates will still be required to be filled by hand. This typically represents less than 5%. Automating the putaway and retrieval of crates eliminates virtually all of the remaining labour in a coolroom. Stackflo have expertise and tools ready to undertake a cost and savings analysis for different levels of automation in your crate warehouse. Using logistics data from your warehouse, we'll provide tailored proposals to you. Our analysis will show the big picture savings and many other benefits including safety gains, use of space and labour requirements. All of these add up to substantial cost savings that will support your decision to automate.  * Typical warehouse costs drawn from Stackflo analysis in Australasia and USA. Our tailored proposals are drawn up using real data from your business. We will demonstrate how Stackflo Sonata offers significant cost savings and benefits. We then add to this flexibility of finance options, to meet the needs of your business. Configure your payments up front, or make payments over time to meet your hurdle rate requirements such as payback years and ROCE. Greatest absolute savings may be achieved by a direct purchase. In this case our package comprises capital plant together with licence and support fees. Finance and operating lease options are also available should capital and covenant issues exist.